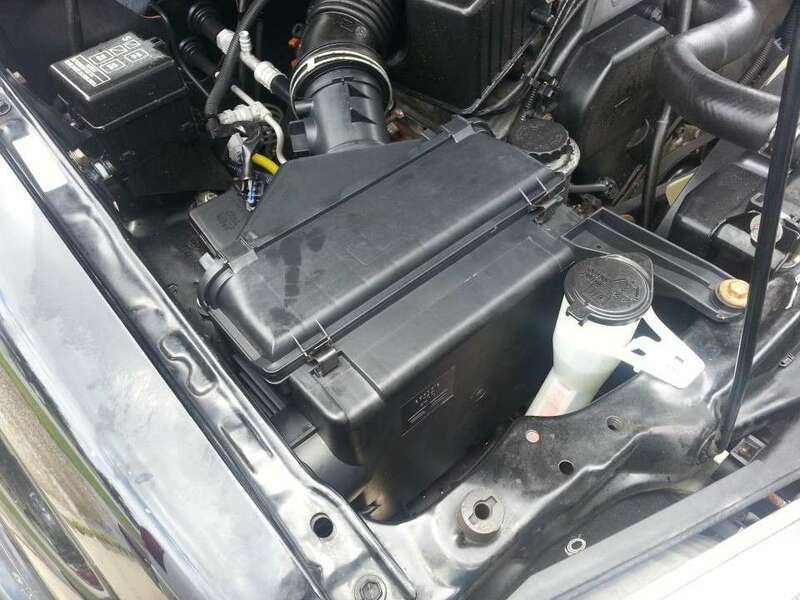 There is a large hose connected to the rear air filter housing. 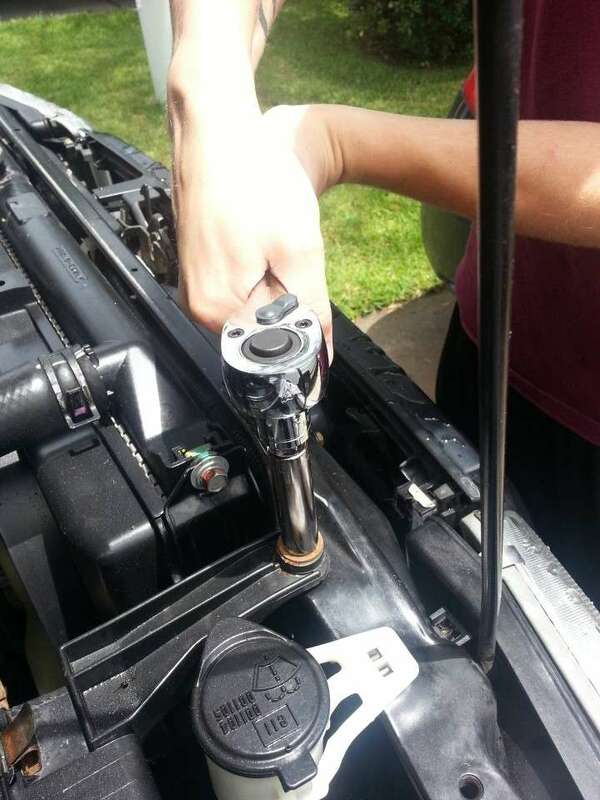 There is a single screw that you can loosen to disconnect the hose. 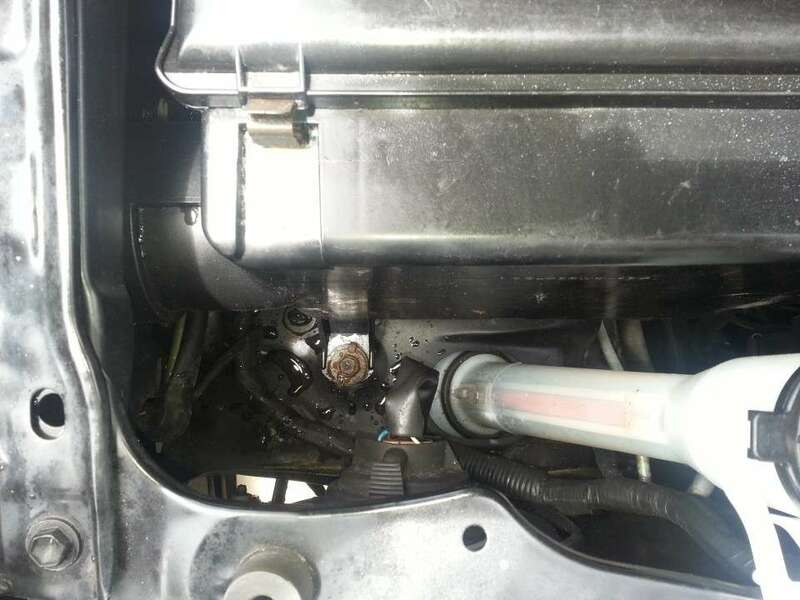 Also connected is a smaller hose in the right hand side of the housing which should be able to be removed simply by pulling it away from the housing. On this step and throughout this guide, make sure to keep track of any screws or bolts that you loosen. 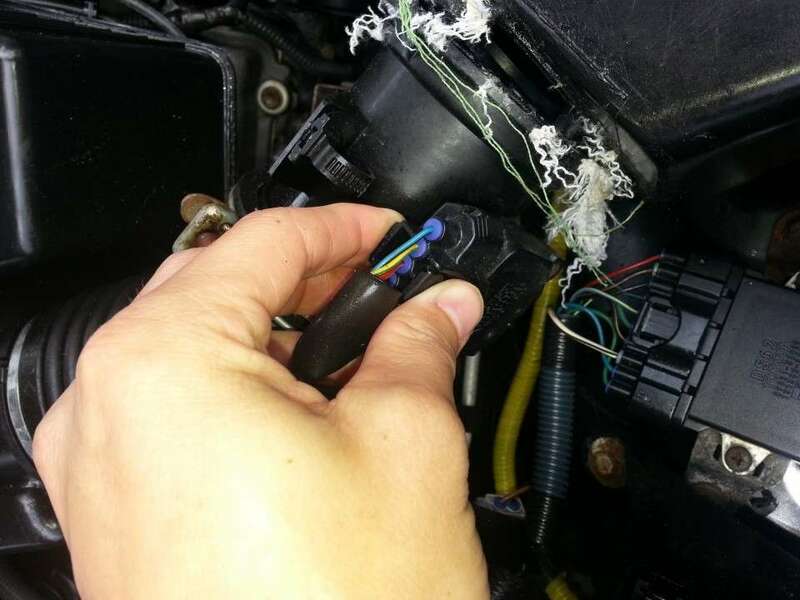 To disconnect the airflow sensor simply squeeze the fitting like you see in the image and pull the wires away from the sensor. You will then need to remove the 2 screws holding the sensor to the housing. Set the 2 screws and the sensor off to the side for now. There is a white, plastic tube used for adding water. This is easy to remove and will be necessary for the next few steps. This image shows the bolt you will need to remove in the next step. To remove this plastic tube simply loosen it at the top and pull it straight up. There are three bolts that secure the air filter housing to the vehicle. Two of them will require either an extension for your ratchet. Keep track of the bolts you remove. At this point, should be able to remove the housing by first pulling the housing towards the center of the vehicle detaching it from the left wall. Then once it is detached, pull straight up. Go ahead and bolt the new housing in it's place. 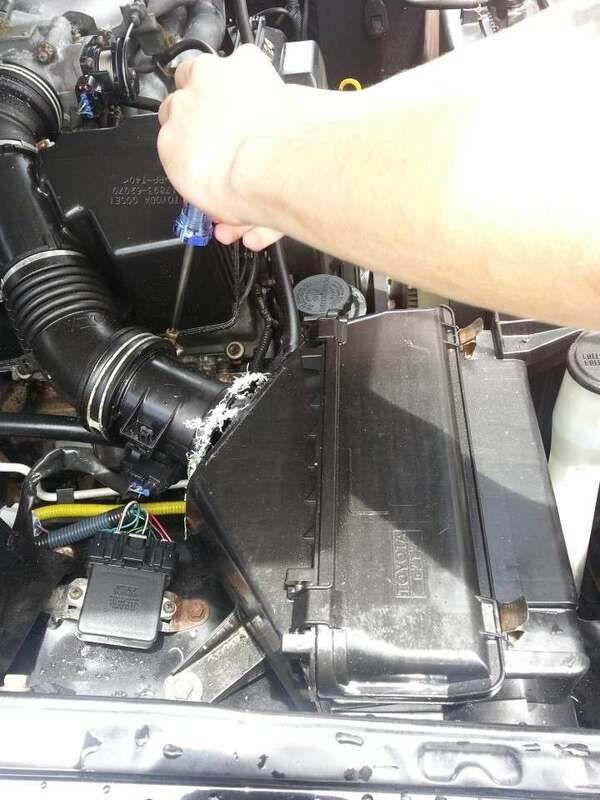 You can then go ahead and re-attach the hoses and fasten them them in place. 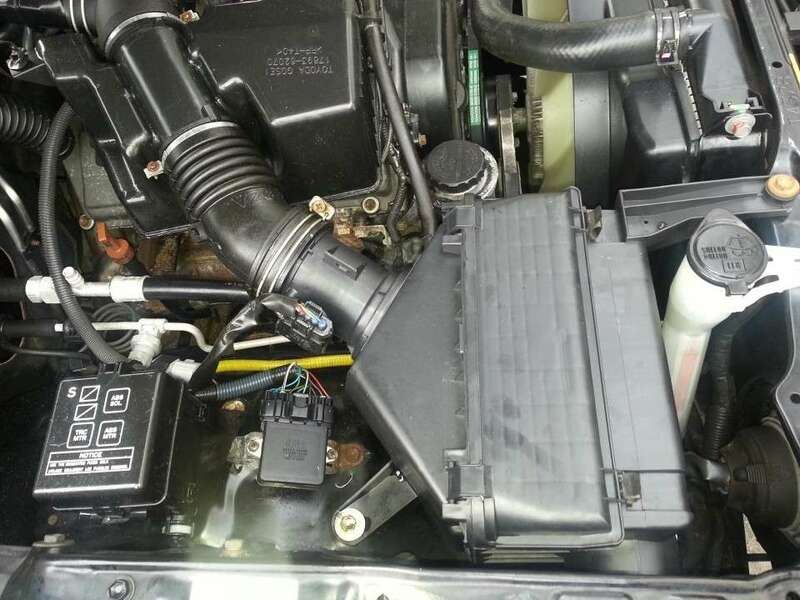 Screw the airflow sensor back in place, and reattach the wires. Then slide the water tube back in its place and secure it at the top. 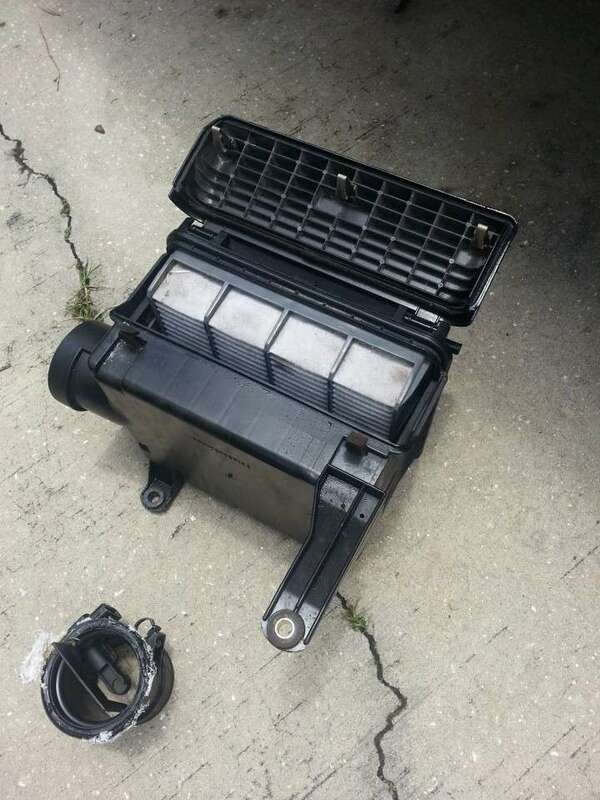 Insert a new air filter into the housing. 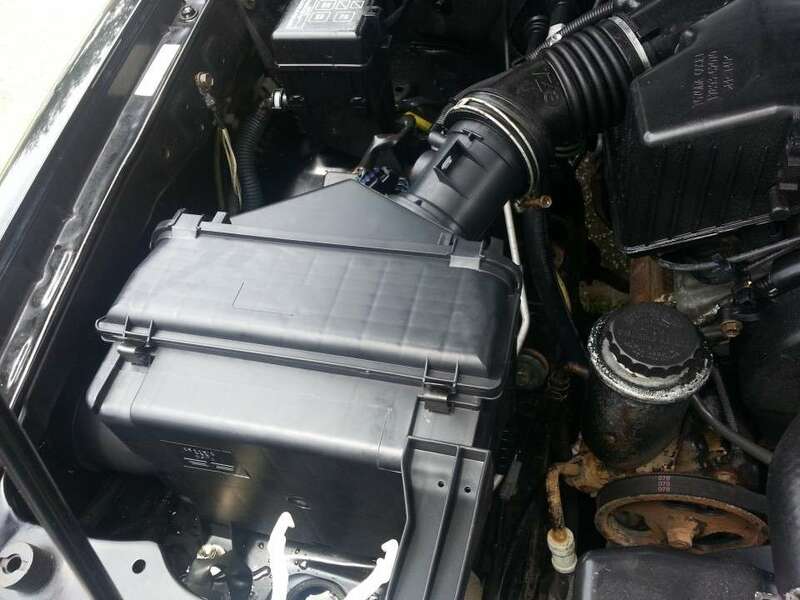 Make sure everything is fastened tightly, all hoses are connected and the airflow sensor is back in it's place. Once you've done this you're finished!